On page optimization techniques are factors that affect your search engine ranking which can be controlled by you. This involves aspects like coding of your site, use of Meta tags, and use of key words and others. There are many techniques you can use to achieve this. I will share with you some of the basic techniques worth trying. This refers to the use of Meta tags that describe your website or blog. A unique description with call to action words and key words are some important elements to consider when writing a Meta description. Keep it as simple as possible without too much duplication. Meta tags are not considered when it comes to search engine rankings. However, they can greatly improve your Click through rate which in tend can greatly improve your ranking. i. Do a key word research. This helps you to know the things people are searching about the topic you want to write on. It also helps you to know the number of people searching about that key word. There are several tools that can help you do this. As for me, I use Google search. Adword Key word planner, Bing Key word too on Bing webmaster and SEO profiler key word tool. ii. Another factor to consider is what is called Latent Semantic Indexing (LSI) Keywords. Take for example; when you search for example the word bulk sms in… you will notice that Google will suggest other words like: India, Cameroon, USA and others. Putting these two factors together will give you a great list of key words to use which will bring the target audience to your blog when the search your key word. The question ‘’ how many words should I have on a blog post’’ has remain unanswered by many over the years. In my opinion, when you write a post it should explain what you want to say. Explain everything you think the reader will want to know. It is commonly said that Long post will rank well on search engines. Some short post will also do. Just ensure you content is of quality. To avoid the confusion of long or short post, choose topics that will enable you to write as much as possible. I cannot say your post should always be long or always be short. If you write long post all the time, you will scare away the lazy people on your blog and if you write short post all the time you will scare away those in search for details. From the data I collected about post lengths of the internet, on average blog post should be 300 words and above. Your post title should describe what you want to say in your post. For example if you want to explain how to use Cardiopad, use a title like ‘’How to use a cardiopad’’ . The title clearly tells the reader what he is going to discover or learn in your post. It contain the word ‘’How to’’ and ‘’cardiopad’’. In addition to key words, you have to keep your post title length within a given length. I discovered on the Bing webmaster tool that some of my post could not be crawled because there were too long. Submitting your website to search engines is not enough. You submit your site so that search engines can index your pages. But after a while, your old post will not be remembered by search engine crawlers. To enable search engines remember your old content, you need to submit your site maps to Google and Bing for a better optimization of your page. Social buttons allow your readers to share your content on social networks like Google plus, Facebook, twitter, pinterest and more. When your content is share, people who find it interested will click on the link and land back to your web site. This play an important role in determines the ranking of your website. It is a good way to increase the traffic to your blog. The floating buttons have proven to be the best. Pages that load fast help your readers get what they want within a convenient period of time. Google considers page speed and user experience when it ranking your blog. Always use Google page speed insight to check your page speed. Getting a good page speed score is not easy given that fact that we update content every day. User experience also counts when it comes to increasing your website traffic. You page should not be an on-off web page. People will not like to try it. So it is important to choose the best host for your website. To those who like choosing the cheapest webs host, it important to check out if their servers are up and working all the time. Verify the percentage down time of their servers before purchasing a package. 8. Optimize you images for search engines. i. For images in your post save them in the JPG format. iv. Give descriptive name, for example, ‘’Car on the Road to Yabassi.jpg’’ is a good name for your website but ‘’ phot.233.jpg ‘’ is not optimized for search engines. As a blogger, you don’t have to focus on building link from other websites. Links within your blog are very important as they enable the reader to spend more time on your blog. i. Don’t add links just anywhere on your post, you should see a reason to do. Think like the reader. ii. Avoid too many links in your post. iii. Build internal links for both key words and non-key words. They should be in the appropriate positions. This is the most spoken aspect that is found almost on every web page that talk about SEO. i. Your content should be of quality and should be accessible to readers. ii. Avoid copy paste content or duplicated content. iv. You post should contain enough text. v. Give reference to content you don’t own. vii. Use sub heading where it is necessary. Here are the techniques involve in on page optimization of you page. To say it in short, in order to optimize your blog, try to keep your content rich and fresh as well as build links. Your blog should be well designed (coding) to avoid crawler errors and slow page speed. You can also use your own techniques provided there don’t counteract search engine rules. Thank you very much brother for sharing this post. I will follow these tips and i believe strongly that it will improve my website ranking. 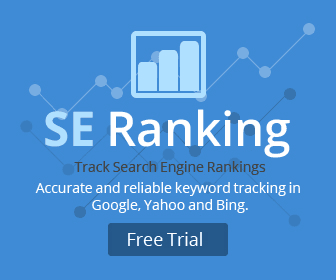 What are the challenges you have faced personally when it comes to SEO services?